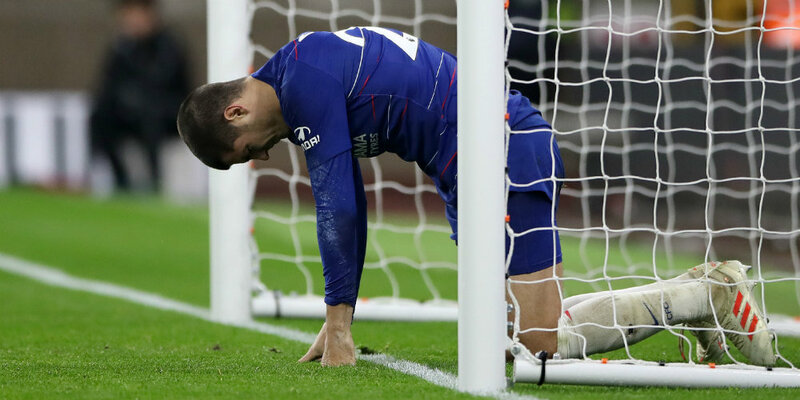 Chelsea’s shoddy defending was punished as they suffered a shock 2-1 defeat at Molineux. Here’s how we rated each Blues player. Had little to do for large spells of the game, especially in the first half as Chelsea dominated. Will be disappointed not to have prevented the equaliser by Raul Jiminez, who slotted the ball between his legs. Solid defensively as always and delivered a great ball in to Alvaro Morata, who missed the chance to equalise. The defender’s poor form continues. Again he did nothing to suggest he warrants a regular place in the side. 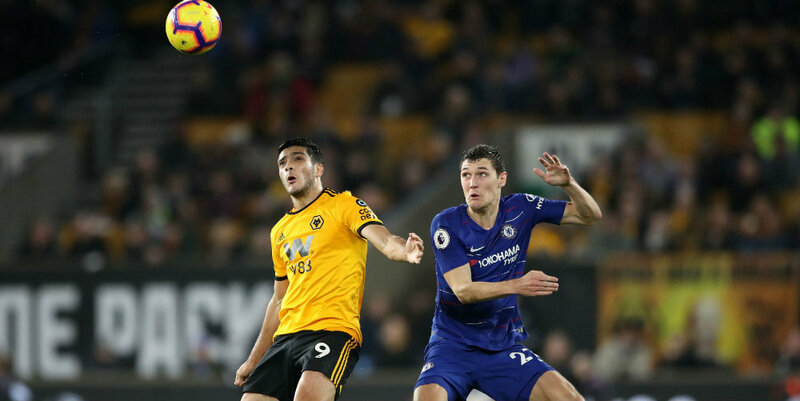 Recently criticised by boss Maurizio Sarri for giving the ball away, he was cautious with his passing and kept things simple before being at fault in the build-up to both Wolves goals. Jiminez got away from him to level and Christensen giving the ball away then led to Diogo Jota’s winner. Was under serious pressure during a terrible second-half spell for Chelsea. But he stuck to the task and competed well, winning a number of challenges. Apparently nursing a back problem, Alonso followed up an unusually poor performance against Fulham at the weekend with another poor display. His crossing was way off and in general he looked well off the pace. Another top Chelsea performer having a noticeable dip in form. Kante was well below his best and could not get control of the midfield against a Wolves wide who were without star man Ruben Neves but appear to have a real prospect in 19-year-old Morgan Gibbs-White, who was outstanding on his full Premier League debut. Also found the going tough in midfield, but he was at least creative in the first half. A great ball over the top set up an early chance for Eden Hazard and Fabregas looked the part as Chelsea dominated early on. It was a different story in the second half, though. The midfielder’s performance was a positive to emerge from a disappointing night for Chelsea. Given another chance to impress Sarri, Loftus-Cheek made his point. His deflected shot put the Blues ahead and his all-round display was impressive. Created a chance for Morata, who should have scored. Possibly fouled in the build up to Wolves’ winner, Willian was nonetheless culpable by stopping because he believed a free-kick would be awarded. He did get through a fair amount of admirable defensive work during the game, but it was a poor showing from the Brazilian. 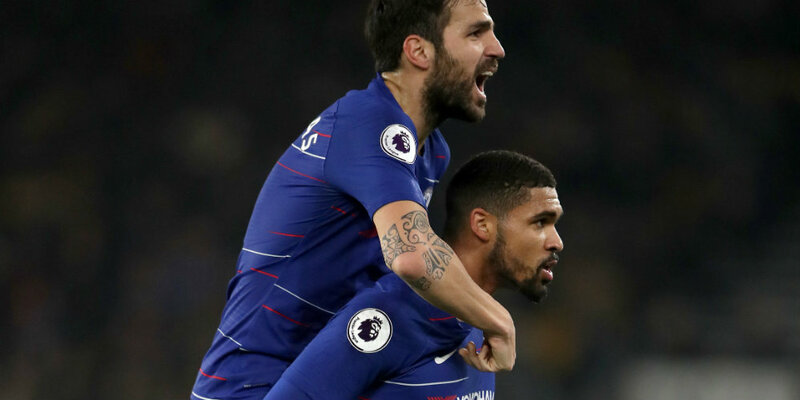 Had a couple of early chances and was involved in Chelsea’s goal with a pass to Loftus-Cheek. He was relatively quiet though and Wolves worked hard to contain him. Oh dear. After a recent purple patch in front of goal, there were more missed chances on another night of frustration for the striker. Came on for Willian during the second half but was unable to make much of an impact. Tried to make his presence felt up front but was also unable to change things after coming on.